With over 18 years’ experience, we are globally recognised as the leader in InSAR services now as part of the CLS Group. We provide displacement measurements and mapping solutions from satellite radar (Synthetic Aperture Radar - SAR) data that are used in a variety of market sectors. We provide InSAR for NASA (National Aeronautics and Space Administration), CSA (Canadian Space Agency), ESA (European Space Agency), JAXA (Japan Aerospace Exploration Agency), CNES (French Space Agency), DLR (German Centre for Aeronautics and Space) and the World Bank. First in creating the industry standard for advanced InSAR techniques, we continue investing in the development of our technology to evolve its possibilities and to offer our clients innovative, effective solutions for their monitoring needs, allowing them to make faster, more informed decisions. Internal R&D and scientific reference point: from POLIMI to CLS, through the merging of TRE and ALTAMIRA INFORMATION. 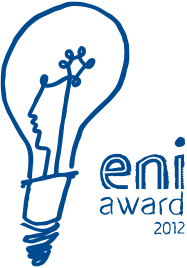 Innovation, reliability and precision are widely recognized by industry and institutional key players (Eni Awards 2012). “Satellite SAR data processing using the PS technique for the analysis and monitoring of ground surface deformation. Planning, engineering and development of the PS technique, including any related products/services offered to customers”. of SAR and InSAR applications. We draw on the expertise of our highly trained and diverse staff, including geologists, geophysicists, environmental engineers and radar specialists, as well as market experts that talk the same language as our clients. TRE ALTAMIRA is part of the CLS Group, a worldwide company and pioneer provider of space-based solutions. CLS employs 750 people distributed between its headquarters in Toulouse (France) and 26 other locations around the world. The company works in six strategic areas of activity ranging from sustainable fisheries management, maritime surveillance, fleet management, to environmental monitoring, energy & mining and space & ground systems.